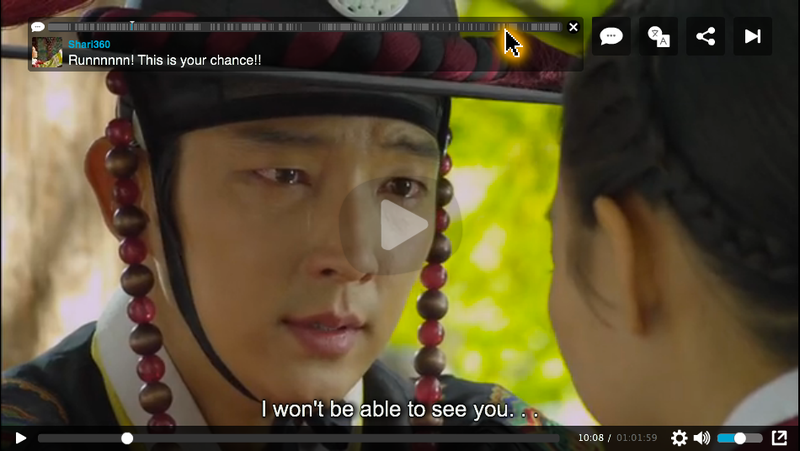 Viki is bringing social back to its global video service after it reintroduced its ‘timed comment’ feature that allows users to place real-time comments about movies and TV shows within its media player. The company, which has offices in the US, Japan and Singapore, revamped its website of subtitled content from across the world with a more interactive design in April, as part of a focus to grow its 22 million monthly active viewers to 100 million. In doing so, it removed the comment system that allows viewers to leave their thoughts and reactions to TV and video scenes because it felt the setup was clunky and didn’t add value. The change was significant, since Viki users have left more than 1.3 million comments, covering 30 percent of its TV and movie content library, which includes offerings from Korea, Japan, Latin America and US broadcasters like NBCUniversal (NBCU). Some shows even attracted more than 2,000 comments from users. Following the removal, the comment system became “the most requested feature in Viki history”, according to Tammy H. Nam, Viki’s CMO and General Manager Americas. Though it had been successful, Nam explains that the previous system had “put barriers up but people blew them away” with incredible engagement levels. Now Viki has reintroduced the feature, making it easier to leave and follow comments about content in real-time, and Nam expects that engagement around movies and TV shows to “skyrocket” going forward. The comment system is a little like the Soundcloud system, which allows users to leave a comment at a specific moment in a song. Perhaps a character’s clothes caught your attention, or one of their comments? 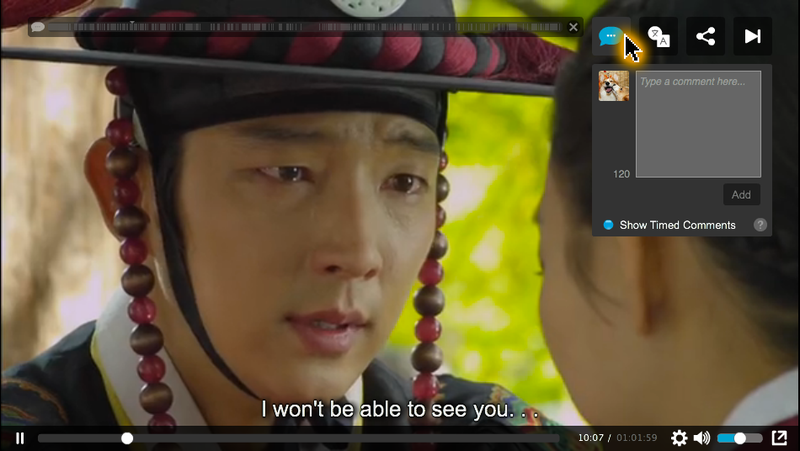 Viki’s timed comment features allow users to share their thoughts, and, importantly, others to watch the content while keeping an eye as the comments of others pop up during as it plays. Comments can be shared to Twitter too — to broaden the engagement and sharing — while Viki is working on adding sharing to Facebook and other sites, as well as sorting comments by language and by those who are friends on Facebook. Nam explains that users who value the comment system felt like they had been watching Viki alone when it was taken away. The fact users can feel so connected to others — despite many of them being on the other side of the world and likely unknown to them — is quite something, and Viki is looking into ways it can use that level of engagement to draw revenue. While no plans have been established, Nam explains that it is possible that contextual advertising could be inserted in to specific scenes — for example ‘happy ads’ for a ‘happy scene — to help companies connect with audiences. Likewise, given that most content makers are keen to get feedback from their fans on their content, the data and sentiment could make for interesting analysis for those wanting to learn about what audiences like and don’t like. For now, the service makes its money through ads, but a move towards sentiment-led models would bring it a unique revenue stream and help the service stand out from others in the crowded Web video space. Viki has raised nearly $25 million to date from a range of investors that include Andreessen Horwitz and Greylock. Ultimately though, the commenting system is another example of how Viki is using its platform to foster a high-level of engagement with its users. Its crowdsourced subtitles — which are written and developed by its community — passed 300 million words across 156 different languages earlier this year. Those subs are used by other services too — including Hulu – and they allow Viki to strike licensing deals with a range of different content makers from across with the world without the fear that they will only be relevant to a slither of its users.